Bill of lading is a transport document which is used only port-to-port sea shipments. In a traditional way bills of lading are document of title which means that with the help of an original bill of lading you can legally transfer ownership of the goods by delivering or endorsing it over to another party. Traditional bills of lading should be issued in a negotiable form allowing the delivery or endorsement title of goods to another person. Once the bills of lading are issued in a negotiable form as shown above, they can be endorsed to a third party. The receiver of the goods, which is known as consignee, can be changed to a new person or company by endorsement. As a result the carrier’s agent at the port of discharge cannot determine without the presentation of original bill of lading by himself who the actual receiver would be in a situation where a traditional bill of lading used as a transport document. In order to prevent any mistake, shipping sector created regulations for delivery of goods at the port of discharge for shipments made under traditional bill of lading. 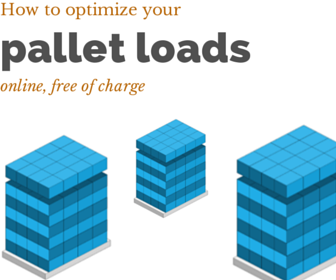 According to these rules at least one original bill of lading must be surrendered to the shipping line’s agent at the port of discharge for delivery of the goods. The carrier have to release the goods to the original bill of lading holder at the port of discharge. In some occasions buyers at the port of discharge could not present at least one original bill of lading to the carrier’s agent. Vessel may have been arrived to the port of discharge before exporter could dispatch the shipment documents to the importer. Goods may have been sold couple of times during the transportation between port of shipment to port of discharge. As a result documents may not be ready when the vessel arrived to port of discharge. If the buyer could not provide the original bill of lading to the carrier at the port of discharge, than the shipper should fill a letter of indemnity to be given in return for delivering cargo without surrendering of the original bill of lading. Indemnify the carrier and their agents and hold all of them harmless in respect of any liability, loss, damage or expense of whatsoever nature which they may sustain by reason of delivering the cargo in accordance with the request to do so provide sufficient funds to defend any claim brought in connection with the delivery of cargo without bills of lading. What happens after letter of indemnity is issued? 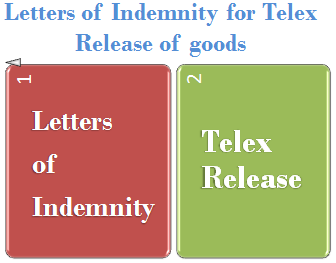 The letter of indemnity should be dispatched to the carrier or carrier’s agent at the port of shipment once it is duly issued by the shipper. The carrier or carrier’s agent check this document and if they find them valid then they give instructions to their agent at the port of discharge to release of the cargo without having received the original bill of lading. This message is called telex release.